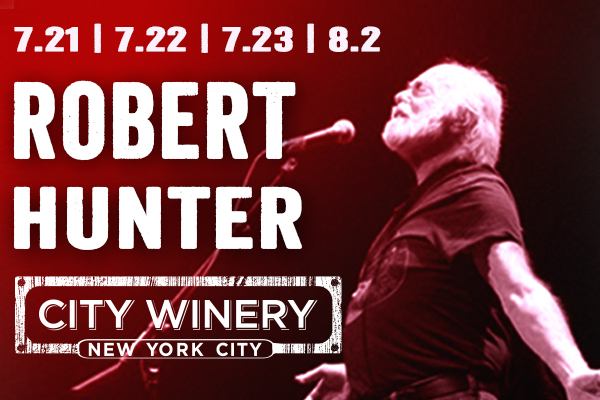 Robert Hunter is playing City Winery NYC on 7/21, 7/22, 7/23 & 8/2 and we’re giving away one pair of tickets to each night. To enter, e-mail us your name Here by July 18th. Include “Robert Hunter contest” as the subject. Once called by the Grateful Dead “the band member that doesn’t come onstage with us” Robert Hunter is known as one of the most important and prolific lyricists in Americana. Robert Hunter returns to the road in 2014. Meet & Greet with Robert Hunter also available.